GRAFENWOEHR, Germany — U.S. Army Garrison Bavaria wants to help you, the community member, understand the proper process and procedures to dispose of your privately owned vehicles. To reduce the number of abandoned vehicles across USAG Bavaria, here’s how to conveniently and legally get rid of your POV. If you plan to sell or transfer your POV to a person or vendor in Germany who has no Status of Forces Agreement, SOFA, then that person or vendor is not entitled to customs exemptions. The transaction, therefore, must be processed through the U.S. Army Customs Agency-Europe and approved by German customs authorities for payment of taxes or duties by the buyer. Once cleared through customs, you, the U.S. forces member or family member, must take a copy of the customs document, the license plates, the bill of sale, valid registration and the lien release (if applicable) to the vehicle registration office to have the vehicle removed from your record. The registration office will verify the information provided by the POV owner, complete the form AR 190-AA and give two completed copies of the form to the POV owner for insurance cancellation. The registration office will issue the owner AE Form 190-1S to be completed for each POV. The registration office will send the third copy of the form and corresponding documents to the Registry of Motor Vehicles for processing. IMPORTANT: Vehicle must have valid registration. If your registration is already expired, turn in license plates to the vehicle registration office, and make a valid registration (can be Non-Op) before POV disposal, or before you sell to persons or vendors who do not have NATO SOFA status. If you intend to sell your POV to a person with SOFA status, process the transfer with the buyer at the registration office. Visit the USAG Bavaria vehicle registration page for more information. If you intend to donate your POV to the local Family and Morale, Welfare and Recreation fund, provide a copy of AE Form 190-1Z to the local registration office to prove the donation. The USAG Bavaria vehicle registration can help. 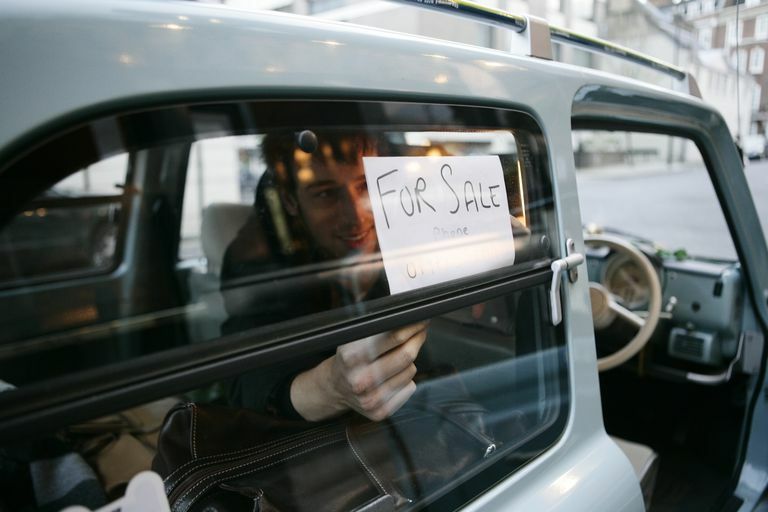 Visit our Vehicle Registration Page to download the necessary checklist needed to sell your POV to either a Non-ID Card Holder or another ID Cardholder, to ensure your selling process is smooth. Where can I sell or donate my POV? USAG Bavaria’s Family and MWR has an Auto Resale Lot for those who are interested in selling or buying a used vehicle. The resale lot is located at the Heart and Home Craft Shop, Bldg. 607, on Tower Barracks. The operating hours are Tuesday – Friday from 11 a.m. – 6 p.m., and Saturday from 10 a.m. – 3 p.m.
Use of the vehicle resale lot is open to all USAG Bavaria active duty military, DoD civilians, NATO ID cardholders and U.S. retired military personnel on a space available basis. Active duty service members and DoD civilians assigned to USAG Bavaria with PCS orders are given priority. The Tower Barracks and Rose Barracks Automotive Skills Centers host closed-bid vehicle auctions throughout the year. They’re open to all ID card holders. Details are announced on the Bavaria Family & MWR webpage and Facebook page. For additional information, visit the Family and MWR Vehicle Auction page, or contact Family and MWR Services at DSN 526-9065, CIV 09641-70-526-9065.